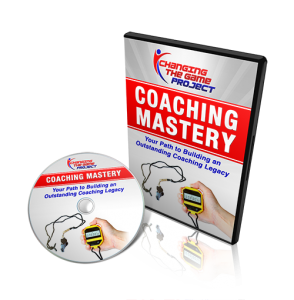 By John O’Sullivan, Founder of Changing the Game Project, a site that is your one stop shopping for the latest and greatest information, research, and best practices regarding high performance, motivation, Long Term Athletic Development, fitness, nutrition, college recruiting, and more. Lionel Messi lay battered on the turf. As he raised his head from the grass, he spit out a mouthful of blood and a tooth. He’d just taken an elbow to the face, one of many kicks, elbows, and bruises he would endure that day. Soon after another player was given a red card for a wild sliding challenge on him, but Messi would not be deterred. In the final moment of the biggest game of the year, the Clasico between Real Madrid and FC Barcelona, the diminutive giant stood tall and scored the winning goal in a 3-2 victory for Barcelona. The goal – his second of the game and 500th for his club – will go down in history, in one of the greatest games ever played in this historic rivalry, by one the greatest players the game has ever known. People talk about Messi’s speed, skill, and understanding of the game. They talk about his balance and agility, his magical left foot, and his uncanny ability to show up at the right place at the right time. But the one thing people rarely talk about – the thing that matters the most – was on full display. Lionel Messi is a competitor. You can knock him down, foul him, step on him, and try to knock him off his game. But when it comes down to it, he gets back up, and let’s his game do the talking. He reminds me of Michael Jordan in Game 5 of the 1997 NBA Finals, as he scored 38 points and willed his team to victory even though he was so sick with the flu that he could barely stand at games’ end. He reminds me of Tiger Woods in the 2008 US Open. He reminds me of the Gordie Howe’s and Mark Messier’s of hockey, fierce competitors with the skill to win a game, and the competitiveness to inspire others to do the same. Competing for Lionel Messi is not a sometime thing; it is an all-time thing. He has always been smaller than the other kids. He was born with a growth hormone disorder, and as a child was nicknamed “the flea.” Clubs would not sign him because he was too small. Even when FC Barcelona brought him to Spain at age 13, he was always undersized. He had to learn grit, and persistence, and guile. The more you kicked him, the angrier he got, and the better he played. The will to compete does not simply show itself in games. As his former Barcelona teammate Thierry Henry said, it showed in practice too. He isn’t a sometimes competitor; he is an all-time competitor. We have a trend in youth sports today to measure lots of things, from speed and agility to free-throw percentage and body fat. But how can we measure and encourage competitiveness? Isn’t that as, or even more, important? One of the first things I look at when evaluating a team or player is “do they compete?” An athlete who competes is more likely to spend the time and effort on their own to improve because the desire for excellence burns so deeply. I want these types of kids. I am NOT speaking about overlooking kids who are smaller or late bloomers. Being competitive and being physically dominant are not the same thing. The smaller, less developed kids can still compete, can still be driven to succeed, even when physically overmatched. One day they will be physically mature enough to make a bigger difference, but all along they are competitors. Some athletes have what Carol Dweck calls a fixed mindset, and we can help them. They look as their ability as fixed, unchangeable even with effort and application. They either got it or they don’t. Oftentimes these kids do not go all in and compete because if they fail while doing so, in their mind they are not good enough and never will be. We can change the mindset, and help their competitiveness to emerge (click here to read how). Some people are NOT innately competitive, which is totally fine. They really don’t care whether they win or lose, and they are not willing to run through that proverbial wall to get a ball or chase down a puck. They may be fast, strong, and have great skill, but don’t compete. The world is full of uncommon people with great talent. You can see these players in practice when you play small sided games: they more often than not end up on the losing team when the games are tight. I am not saying that these kids should not be allowed to play sports; of course, they should. But I am not sure the high-performance track is the long term path for them. Great competitors, on the other hand, even when they are playing with a less talented group, often find a way to win. They take pride in the struggle. If you track over the course of a season which kids win your small sided games in practice, more often than not, the same kids will keep coming up. They bring that intangible difference game after game, in practice and matches. Make competition part of every practice: Keep score, and have consequences for not competing hard. Some coaches actually reward the winners with fitness. It really depends on the age and level of your team, and I do not like to use fitness ever as a punishment. What I often do is ask kids what they want to play for that game. Let them come up with the prize or consequence. Track results in practice: Anson Dorrance, coach of the 22x NCAA Champion North Carolina Women’s Soccer team, is famous for creating what he calls the “competitive cauldron.” He and his staff meticulously track every 1v1, small sided game, and fitness test. He teaches his players to first compete against their own numbers. They post results publically so there is no hiding. This works best for high school and college-age teams (not recommended for very young kids). Create a culture of accountability: When athletes start holding each other accountable for the level of tenacity, competitiveness and focus in training, the magic happens. 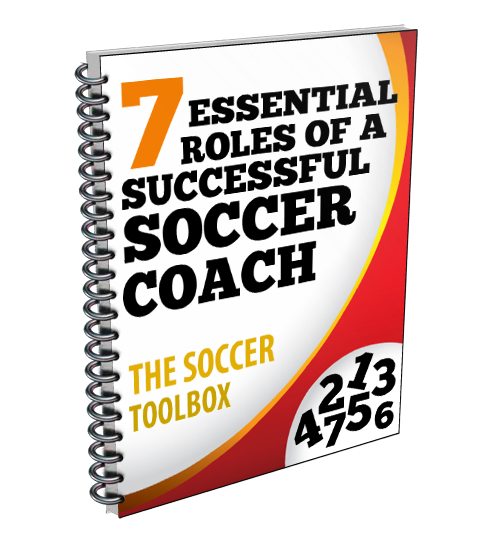 The coach is the ultimate adjudicator, but when teammates take the primary role, the pressure to get on the bus seems to solve most problems. As the New Zealand All Blacks say, the scariest meeting is not the one with the coaching staff. The scariest meeting is having to face their teammates and explain why they let them down. No whining: Complaining to anyone who cannot solve your problem is whining. Who cares if the teams are unfair, or you are not in your favored position? If you do not like your playing time or role, what are you doing to change it? If your teammate is whining, get yourself out of that conversation or tell him that this is a no whining zone. Whining has never led to a player being better prepared to score the big goal or make a key play. Get 1% Better Every Day: Create an environment where every day an athlete starts anew with an opportunity to get just 1% better than yesterday, the aggregation of marginal gains. Every little improvement matters as they seek to compete to be their very best. 100 days of 1% gains equal an athlete who has now improved 100%. This takes patience, self-reflection, and fortitude. Excellence is a habit. Catch them being good: If you want your athletes and teammates to compete, acknowledge players for competing above and beyond the standard. Praise competitiveness. Reward the value you want to see the most. Instill fearlessness: if we want our athletes to compete hard and be creative, they cannot fear mistakes. 100% focus and effort is required, not perfection. We need to have the courage to fail in order to have the opportunity to improve. Find Strong Opponents and “Seek Together:” The root for the word compete is the Latin word competere which means “to seek together.” If we truly desire to be the very best we can be, we should constantly be striving together with strong opponents who make us better. We should get excited to play difficult teams and see them as partners in our own development. Coaches, treat your athletes as people first and be honest with them. Give your team some ownership and empower them to create their own culture of accountability. Athletes who play a role in the values, goals and mission development tend to hold themselves and each other more accountable. Make sure competitiveness is one of them. When players ask how they can get more playing time, give them a list of things to do, and if they do them, reward them. Don’t let it be a guessing game. Lionel Messi will go down in history as perhaps the greatest soccer player ever. He has the skill, he has the speed and he has the guile. But none of that would matter if he did not compete. He is a warrior. Even when he gets kicked. Even when the referee doesn’t call the foul. Even when he gets his tooth knocked out. He competes. Every. Single. Day.